Financial planning experts weigh in on the basics of life insurance, how it works and when it’s a wise investment. This isn’t a question I asked myself until quite recently, when my husband and I started discussing how to best prepare for having kids, and what sort of financial goals we want to set for ourselves now that we’re really ready to do the family thing. Naturally, I googled “life insurance”. The wealth of information (crowded with mysterious money jargon) that poured out at me resulted in an instant headache. “I’ll just come back to this some other time,” I told myself. Just a week later, that time, I’m declaring, is now, because I’m very good at procrastinating important financial decisions and, as my paltry retirement fund reveals, delaying these decisions hasn’t worked in my favor. I turned to financial planning experts to learn the basics of life insurance, how it works and when it’s a wise investment. 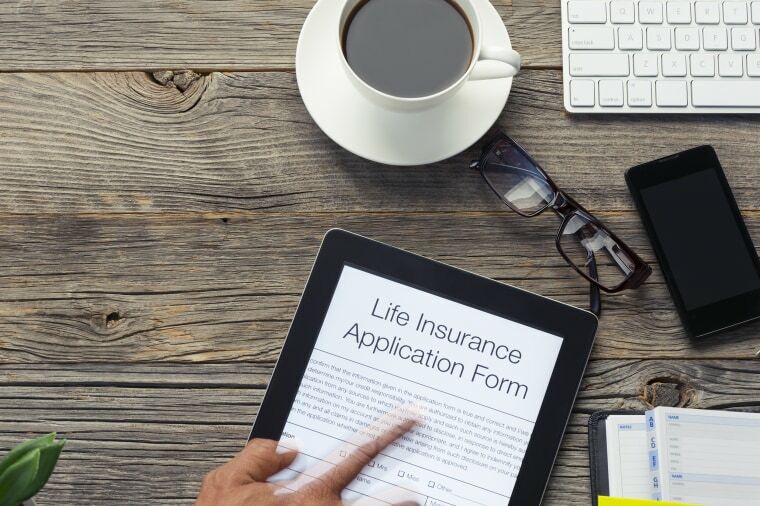 “There are two basic kinds, term and permanent,” says Sean Scaturro, director of life and health insurance advice at United Services Automobile Association (USAA). The biggest downside to term policies, Goldsberry highlights, is that they are not in place forever. Another downer about term policies, is that if you go to renew after the term, the premium will shoot up. Permanent policies are, as the name indicates, permanent, meaning they span your whole life. It sounds like permanent insurance is the best way to go, but of course, this is the more expensive option. We all should begin the process of choosing life insurance by assessing our own needs, which can be done by doing a DIMEF analysis. Worried about running out of money in your retirement? Read this. “Step 1: Take the total of your L.I.F.E needs (Liabilities & debts, Income to be replaced, Final Expenses, Education or Extra Goals to be paid for). I’m young-ish (35) and in pretty good health, but I do have mental health maladies, gastrointestinal illness, and other fun stuff you’d see if you went through my health insurance documents. Additionally, some cancers run in my family. Do my medical issues and potentially cancer-prone genetics mean my deductible will go up? “Life insurance companies have the ability to discriminate on one thing and that is your health. Whether diseases run in your family, your currently sick, or you’re in the best of health,” says Bibbo. “All of these considerations determine the cost of the life insurance. Bibbo adds that if you take prescription medications, the likelihood of a paying a higher premium also increases. That poor health, age, medication needs and genetics can inflate costs is a definite bummer, there’s really no case against having life insurance if you have relied-upon income, and want some financial safety net for your loved ones should you die. The younger you get life insurance, the lower your premium will likely be, yet this once standard investment isn’t being embraced by millennials the way it was by previous generations. If you’re considering buying life insurance, you will need to consult with an agent, but in the mean time, take advantage of the many online calculators at your disposal.